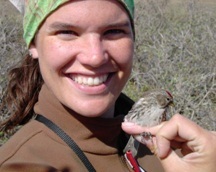 I am an Assistant Professor of Biology at Marian University, where my research interests cover a wide-range of perspectives from neuroscience, to endocrinology, to molecular genetics, to ecology. Through this integrative approach, I am able to elucidate how organisms deal with a dynamic environment. Currently, I am exploring questions in physiological ecology and conservation physiology that allow us to ascertain how an individual in a population responds to human disturbances such as habitat fragmentation, endocrine disruptors, and climate change. Students in my lab focus on a variety of projects using turtles, frogs, birds, and squirrels as model organisms. My students will learn a variety of techniques ranging from PCR and ELISA, to behavioral observations and more.